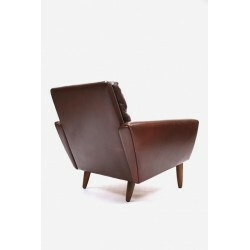 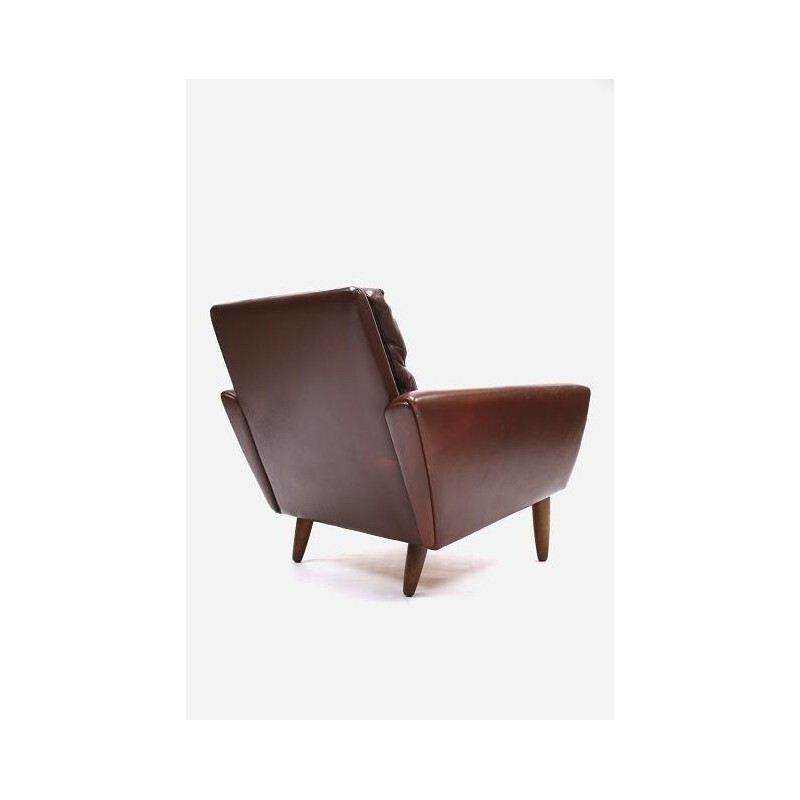 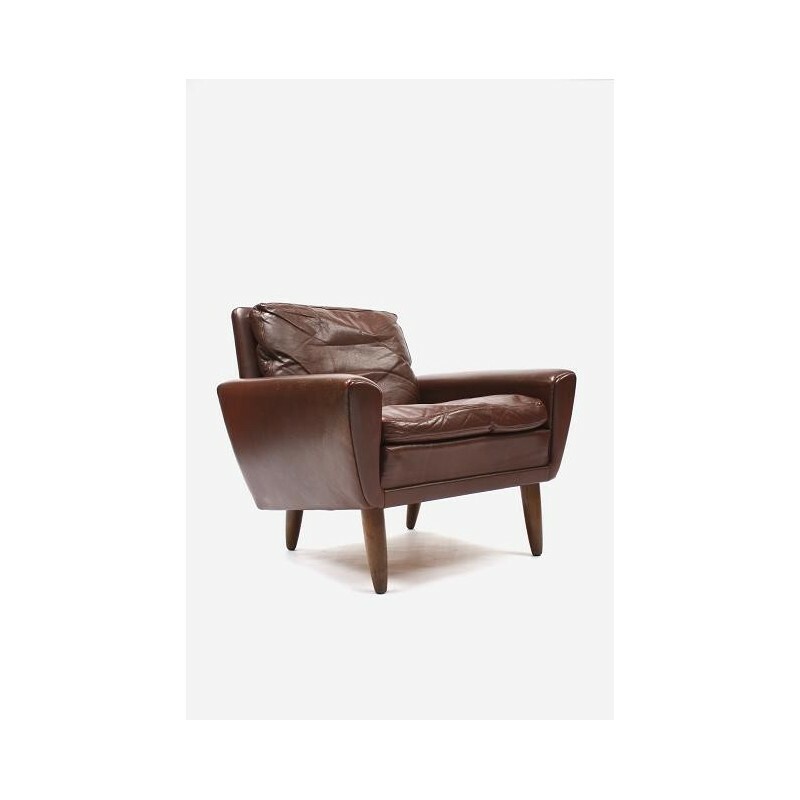 Vintage armchair in brown colored leather. 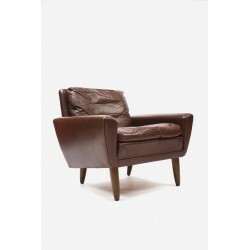 The chair is most probably manufactured in the Stouby Mobelfabrik, Denmark. 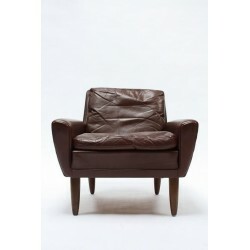 The chair is in a fairly good condition given it's age, the leather has some nice traces of use ( see detailed pictures). 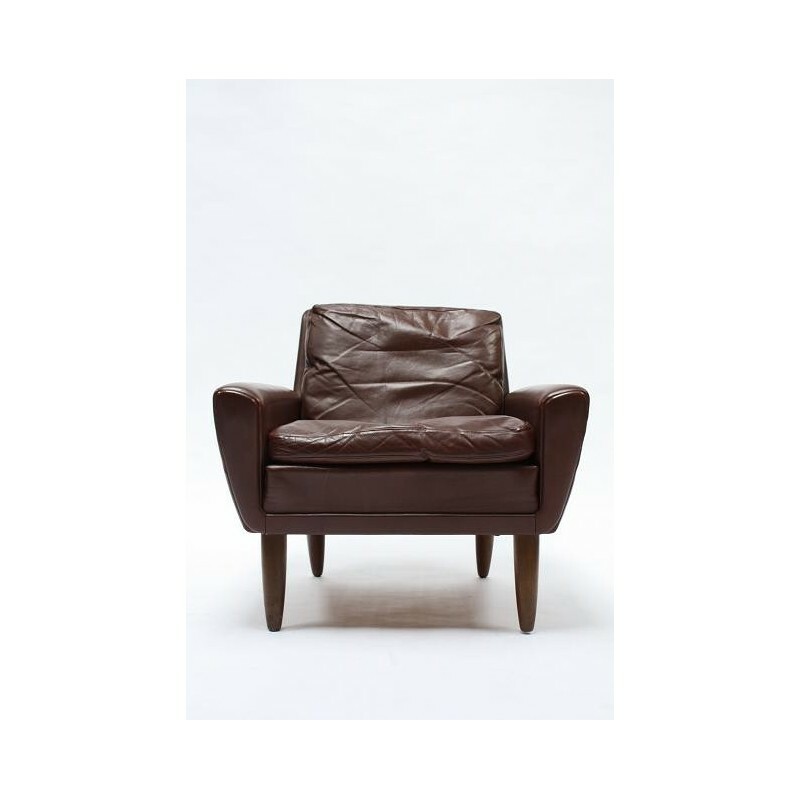 The dimension is 40 cm SH/ 71 cm H/ 74 cm W.